Fire crews in Bucks County battled a fire at a popular restaurant early this morning. The blaze started at around 6:30 at Nifty Fifty’s on Street Road in Bensalem. The eatery was open at the time but everyone was able to get out before the building became engulfed. Despite the early hours, the region's heat wave was a factor on the firefighters. It was brought under control in two hours. Investigators are still trying to determine what caused the fire. 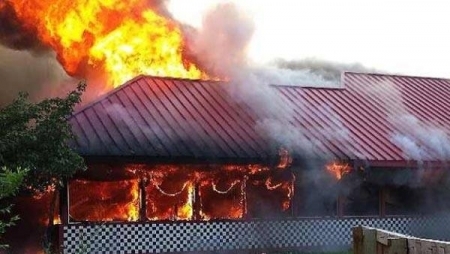 Earlier this year, Nifty Fifty's Ridley Township, Delaware County location also went up in flames. This past May several owners and managers of Nifty Fifty's were indicted on federal tax evasion charges for allegedly failing to pay taxes on more than $15 million in cash from customers’ tabs. Party Cloudy, Temperatures steady around 90 this evening in center City.